Five years seems like a lifetime in the rapidly expanding sector of the small Unmanned Aircraft Systems (sUAS) market. In this time span, I’ve had the opportunity to work with a couple of different companies who provide drone services to clients, and I’ve also provided drone services out on my own. In a sector that has seen so much growth and a constant introduction of new players to the game, it’s important to drown out the false claims and hone in on the legitimate uses of drones that allow for an efficient return on investment. This is one lesson I’ve learned in recent years. I’d like to share five other takeaways from the last five years in the drone services sector. 1. It’s best to treat drones as one tool (out of many) to complement your expertise. The most successful drone service firms I’ve come across always have one thing in common. They have experts in a specific discipline (first) and they complement that expertise with drones (second). There are too many drone service startups that have launched solely out of the excitement of drones as a technology, with the owners having limited experience in the sectors they are serving. “We serve all sectors, all the time!” A friend once told me about a drone demo day where six different UAV companies were invited to show what they could bring to transmission line inspection. At least half of the companies that attended had fancy drones to show off and fly, but no background expertise in traditional line inspection, transmission components, or any practical experience in the energy sector. In these situations, the experienced operators shine much brighter than the drones on site, and their background knowledge has everything to do with that. 2. A lot of drone manufacturers are still charging too much for their UAVs. I’ll start by saying that there are a lot of great industrial-grade drones on the market today, with an impressive amount of work and testing put into them. Many of these units are well worth the investment. With that being said, there are still huge discrepancies in pricing between commercial unmanned aircraft systems with similar specs. An easy example is the Microdrone MD-1000 vs the DJI Matrice 210, which I’ve both flown extensively. The Microdrone loses to the Matrice in almost every category (flight time, software, ease of use, efficiency to swap sensors), yet costs CAD $30,000 more. Ouch. This is just one example, and there are many out there. Anyone new to the UAV world is vulnerable here. One flashy tradeshow sales pitch later and they are stuck with an overpriced unit that is the basis for their drone program or drone services business going forward. We as buyers have the power to speak with our wallets and only support companies that are able to present a fair price in the maturing commercial drones market. Firms like Applied Aeronautics and others out there are proving that in 2018, a commercial UAV purchase doesn’t have to equal the purchase price of a luxury sports car. Prepping the Matrice 210 for a mapping mission to look at future planting areas in a burned out zone (Strategic Natural Resource Consultants). 3. Most LiDAR-mounted drones do not make much business sense right now. Having worked in the GIS world for the past 15 years in various sectors, I’m a huge proponent of LiDAR adding value to projects and I love working with it. Its ability to model the terrain, capture forest structure, survey various sites and provide precise elevation data from a dense point cloud is impressive. However, when it comes to ready-to-fly LiDAR-mounted UAVs, it’s still a major head-scratcher to me in terms of a business investment. I’ve received multiple quotes for LiDAR UAV systems that came in well over the CAD $120,000 mark, and some over CAD $170,000 for units that aren’t getting more than 20 minutes of flight time and can’t efficiently map at 120 metres (400 ft). Sorry, not interested. There are plenty of researchers, DIY-ers and big budget firms getting into the LiDAR UAV game, but I fail to see how a reasonable payback period is achieved with the ready-to-fly LiDAR units that are being sold out there. 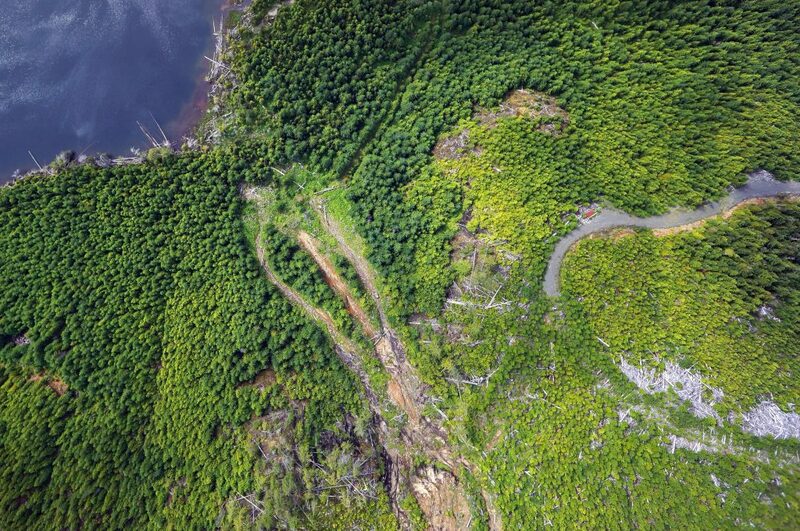 Working in the forestry industry, we cover hundreds of hectares on our UAV mapping missions, and when we seek out LiDAR datasets, they cover an equally large area. I cringe when thinking about some of these LiDAR-mounted units (especially multirotor) attempting to cover these areas, particularly when the flying height is limited by the workable range of some of these setups. Another factor here is that on open sites (where penetrating the canopy for terrain data is not an issue), we get amazing results already through photogrammetry without the need for a more expensive setup. Costs will inevitably come down over time, but right now in the sectors I serve I fail to see the business case here if purchasing on the open market. 4. Before you commit to that new drone application, fully examine the costs and benefits. Every week there seems to be a headline about new drone applications, which is one of the big reasons that I love being involved with the technology. There are applications that you never imagined before, like flying over the blowholes of whales to sample them and check their health, or releasing sterile tsetse flies from long range drones to help control disease. These are very unique examples, and may well have been cost effective. Too often though, the excitement of a new application drowns out the practical accountant in the room. When I’m approached by a colleague that is excited about a potential new application, the easy answer is always “yes, we can do that with the drone,” but it might not be the correct answer. Before drones, what was the traditional way to capture this data? Is it cost efficient already? What are the all-in costs for the traditional methods vs. drone methods? Is full replacement of the traditional workflow the answer, or is there a hybrid solution involving drones? What would that cost? Is the drone replacing work traditionally completed by a helicopter? (If so, I’ve found many quick wins in this category). 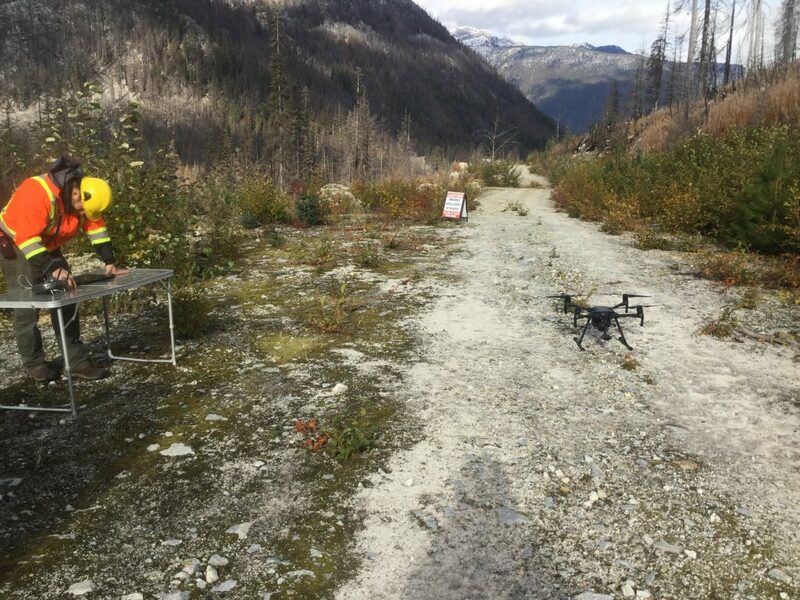 Does a field crew still have to visit the job site regardless of the drone’s involvement? … or does it significantly decrease man hours? These are all important questions to ask, and I’ve found that it’s the cost spreadsheet and number crunching for every step of the process that will help you to determine whether bringing the drone in is worthwhile. With some drone workflows it’s easy to see the cost savings, but there are many other applications that need to involve trials and tight cost tracking before jumping in with both feet (and losing margin in the process). Assessing the growth of an old landslide track by UAV (Strategic Natural Resource Consultants). 5. Focus on extracting useful data. Flying and capturing data is the easy part, and it’s only getting easier. One of the first drone applications that everyone heard about hitting the mainstream years ago was aerial photography for real estate. A big part of this was the drone doing all the work, and the lack of outside expertise necessary. Someone with a Phantom, a permit and a bit of flying experience could easily deliver a real estate photography job. Can someone still sell their house without paying for drone media? Yes. Can an 18 year-old with no photography skills fly a job like this and get decent results? Yes. Can you complete the job without advanced flying skills and high level cameras? Yes. The same cannot be said about many other drone applications, like forest stand management, crop health mapping and quarry volume tracking, for example. With these examples, you are providing a lot of value and it helps to have a subject matter expert involved to interpret and extract the most relevant data. Today, it’s getting easier and easier to fly and capture drone data; I can teach someone to do both in a few hours. The challenge becomes extracting useful and actionable data, and to do it quickly, hopefully automating the process. Some of the best examples of efficient data extraction come from agricultural drone use. Software algorithms are run on the drone data and the output becomes much more useful to the farmer, perhaps showing where Nitrogen deficiencies are occurring as one example. Rather than endlessly pursuing new drone applications, if you focus on the quick extraction, processing and even automation of drone data, some applications that didn’t make financial sense before may start to shine. If you can reduce the man hours and processing involved, the budget numbers change and a win-win scenario can emerge. Whether you are new to drones or have been operating them for years, I hope you find these lessons useful… there are times when I’ve definitely learned the hard way. Good luck with your commercial drone endeavors this year!